The first week of fall! The arrival of fall means winter is right around the corner. I am not a fan of winter as it is cold and gray. I am not a fan of cold. And really gray isn’t my favorite either. But then after winter, comes spring! I adore spring. See, there is always something to look forward to. Besides the yummy tastes and smells of fall, that are so awesome, God paints the trees in such amazing beauty. I love how the trees change colors right before our very eyes. It is like watching the greatest painter ever complete His masterpiece in its entire splendor. And we only have a brief moment to take all of that majestic glory in before it is gone for another year. 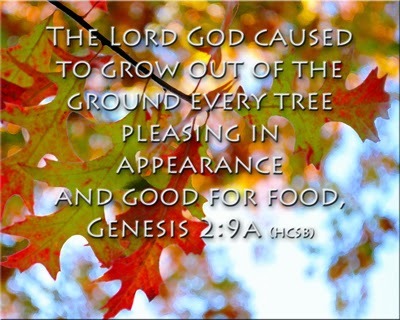 Do you see the phrase, "pleasing in appearance?" God's creativity is beyond anything we can imagine and He creates nature for us to enjoy. Fall also ushers in the natural time to study why and how leaves change color. This year I decided to also go deeper into the process of how plants create their own food, also known as that big giant word; photosynthesis. Of course that means checking out as many books on the subject from the library and enjoying some educational videos online. We are also going to put together a lapbook and the older ones will most likely have some type of notebooking and research essay to write. And of course no science unit will be complete without at least one or several experiments or hands on activities. Below is my list of resources I am going to use this week as we explore and learn. I am sure as we go through our study I will find some more great sites, however this is a starting point that will get us moving in the right direction. Leaf Color Activity - What color will the leaves on the trees change? Answer this question with this fun activity that can be done with almost any age group to some degree. We have done this particular activity a few times and we will be doing it again this year. The kids love it. Photosynthesis Video - This quick animated video shows the process of photosynthesis. NASA put out this very cool video that shows Photosynthesis from Outer Space. 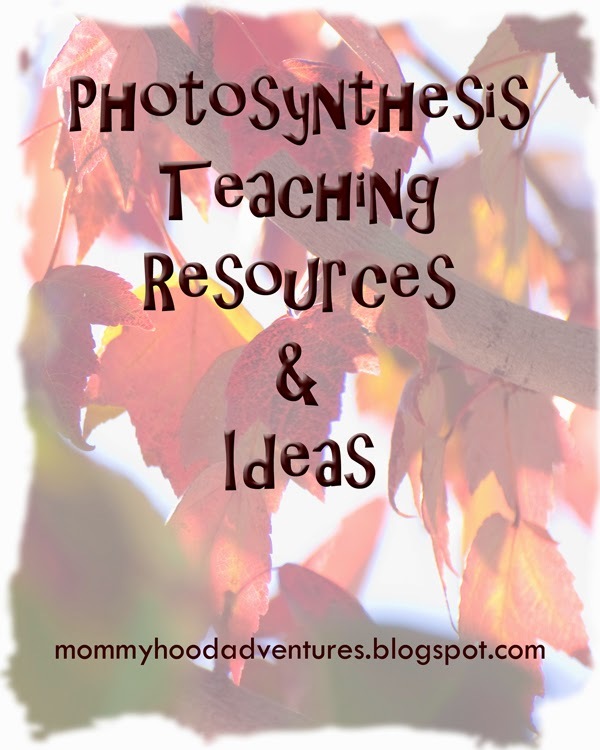 Ellen Mchenry's Basement Workshop is a goldmine of botany and photosynthesis activities. There is also a lapbook with some very cool mini books. The lapbook elements will work great for notebooking also. Science Made Simple has a quick and easy to read page about photosynthesis. There are of course the fun art projects that include reading the book Leaf Man and making leaf men or other fun pictures, leaf rubbings, and even preserving leaves by ironing them between pieces of wax paper. Of course a nature walk or two are in order this week as well. What are you going to do to kick off fall.